Up until the 1980’s bikes were rigid. As riders sought to ride rougher terrain, they found it was hard on their hands and arms. Bike manufacturers developed the hardtail bike with a front wheel suspension. The design absorbs much of the shock which makes the hardtail easier and more enjoyable to ride. With mountain biking gaining in popularity, mountain bikers became more adventurous. They challenged themselves with more rugged trails that had steeper ascents and descents. Riders learned how to become one with their bikes by shifting weight, knowing when to stand or sit, and braking. Bike manufacturers developed full suspension bikes for experienced riders who acquired these advanced skills. If you are a beginning mountain biker or you are looking for an affordable bike, begin your search with a hardtail mountain bike. A hardtail bike has a suspension fork attached to the front wheel that lessens hand and arm weakness. Basic suspension forks operate with a wound steel coil spring. More advanced bikes have air-sprung forks that are easier to adjust. Front-wheel suspension gives the rider greater control with steering and balance. Choose a hardtail bike when you are a beginner, when riding trails only occasionally, and for practicing your cycling skills. Hardtail bikes come with a lower price tag than full-suspension bikes. A full suspension bike suspends front and rear wheels. The front suspension is the same as for a hardtail bike. A pivoting frame with a rear shock absorber suspends the rear tire. 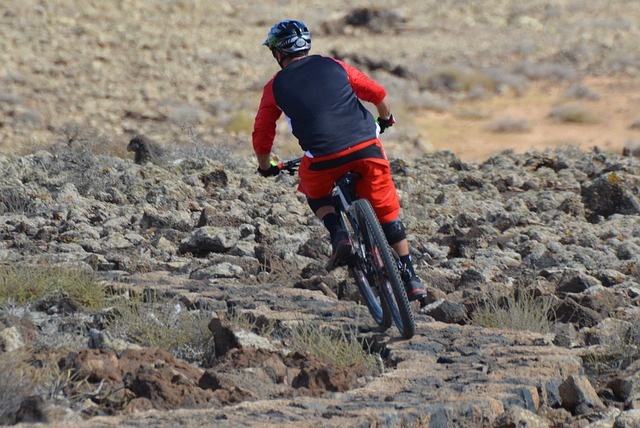 Full suspension bikes are more comfortable than hardtail bikes and they give the rider increased control for riding at higher speeds or when navigating challenging terrain. Choose a full suspension bike if you your favorite terrain is a dirt trail and you need a bike that takes it easy on your joints and muscles. Full-suspension bikes will be more costly than hardtail models. The Merax Finiss is hands down our top rated mountain bicycle. Ride the trails with this lightweight 26” bike. It’s built with Shimano 21-speed Derailleurs and Shifters for reliable shifting. It has front and rear mechanical disc brakes and an 80mm suspension fork for a smoother ride and greater control. The frame is made from 60601 heat-treated aluminum. Pedal threads are different on the left and right pedals. This men’s bike has a dual-suspension frame with a steel rear. It has Shimano Altus 24-speed brakes for smooth stops and Shimano Ef-50 Trigger Shifters for greater control. It has a Pro-Max front disc brake with Suntour suspension fork. The high profile rims are made with alloy and they have sharp, black-bladed spokes. Thruster offers this 26” full-suspension bike with aluminum MTB frame. The suspension fork is 65mm and has a floating beam suspension design. It has front and rear disc brakes. The alloy wheel rims have a V-shape profile and high-flange alloy hubs. You’ll get good control and a smooth ride with the Shimano 21-speed shifter and rear tourney. This is a simple, no-frills bike that is great for beginners and occasional riders. It has Shimano Revo Shifters and Derailleurs. It has linear pull brakes and alloy rims. The front shock fork relieves fatigue in arms and hands. At this low price, it’s a great first mountain bike. Break it in and then trade up to a more durable bike. This bike has dual suspension, is tough and built to last. It has a 26” steel folding frame, so it conveniently stores at home, in the garage, in the car or on public transportation. It has a strong spring shock that really takes the bumps. It has a mountain bike saddle and single wall alloy rims. It has an awesome price for the great features. Take this dual full-suspension mountain bike for a spin on your favorite trail. It is durable and has an easy to use shifter. Front and rear suspension is adjustable and the front and rear wheels have a quick release function. It has 24 speeds for greater control and it comes in four sizes. If you’re looking for a high-performance, sturdy beginner bike, this one is for you. Beginning riders may want to start out with a front suspension bike until they get the feel of how to shift their weight in relation to the slope of the terrain. Advance to a full-suspension bike once you get some skills under your belt. There are plenty of front wheel suspension and full-suspension bikes in the under $500 range to choose from.